I love projects. I think they're just wonderful; the depth and complexity, the choose-your-own-adventure feel, the open-ended choices. Projects are simply a great way for students to show of their learning. Even our masters' programs are dripping with projects and presentations. That's why I've started creating mini-project based learning activities that are filled with math, ELA, social studies, and technology aspects. These PBL activities allow students to be creative and imaginative (most important factor to me), but also combine multiple areas of academics to complete a project. 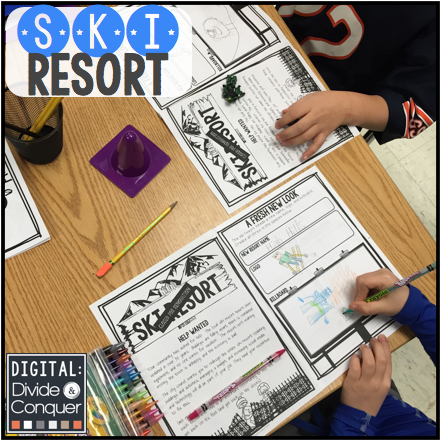 My most recent PBL is Build A Ski Resort, seen below. My favorite aspects of these PBL activities is the chance to individualize the learning for students/classrooms. Each page can stand alone, or you can bring in outside resources to enhance the learning potential (or your teaching potential). Since this focuses on skiing and ski resorts you can answer essential questions with movies from you tube. What are Logos and why are they important? Anytime we, as teachers, are assigning projects or activities we need to stoke the flames of students' creativity showing them the endless possibilities. 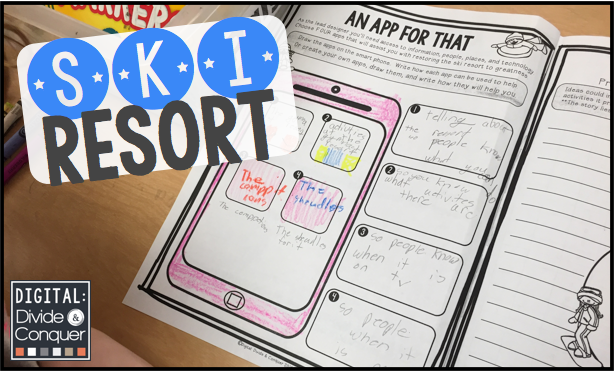 Technology integration and access play a crucial role, not so they (students) can just use it--but they can see how others have used it or to gain a little background knowledge. Hands on projects are the best too, so please don't assume I'm yelling, "All aboard the technology bus!" There are times and places for each. 1. You must give up some of the control and put the learning in your students' hands. 2. You have to allow the students to struggle. I know, this one is tough--but it is important. Allow them to collaborate with other students before they run to you. Remind them it might hurt a little bit, then tell them to collaborate with more students (again). 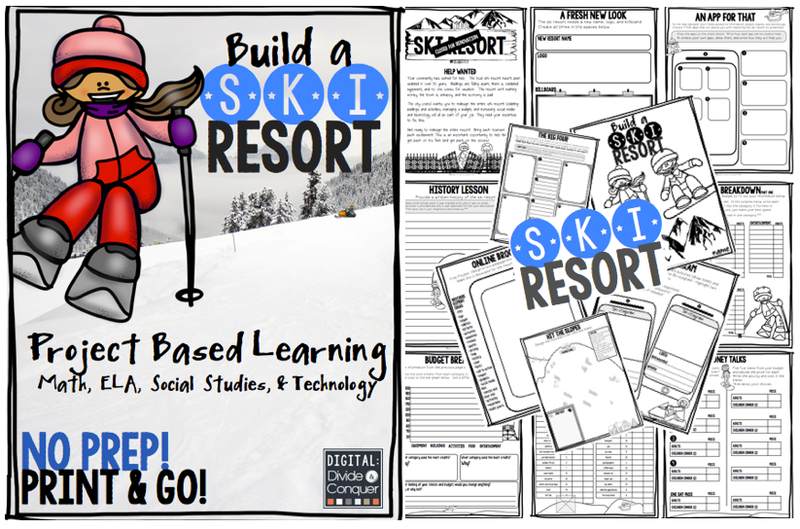 If you've never taken the plunge with some project based learning activities I suggest finding one that is right for you and give it a try. Also, make sure the project time happens in class (so you're a part of it). If you think a ski resort is right for you--well then, have a blast.